...awesome. really you are. i am so appreciative of the twitter messages, facebook posts and even the blog comments you guys sent yesterday. this year, i didnt do anything, but sit home watch tv and eat pizza. yerp. loved every minute of it. i also caught up on some blog reading. 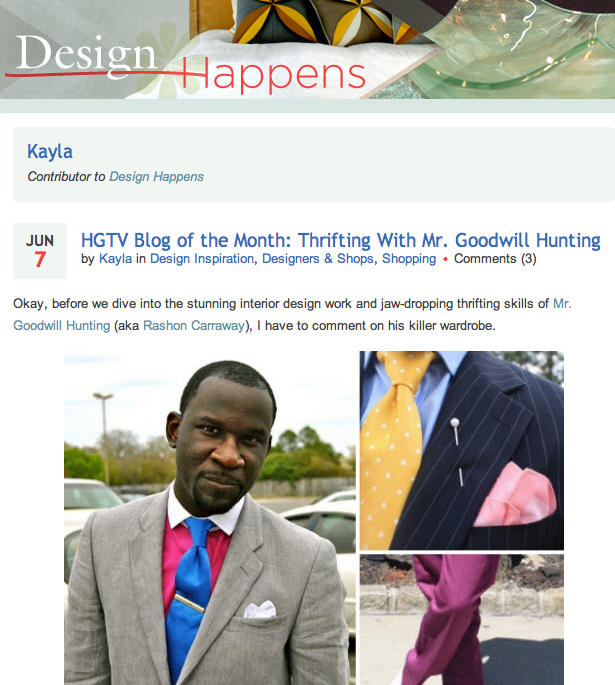 one great gift i received yesterday, was being named blog of the month by hgtv.com's blog design happens. a big thank you to ruth and kayla for reaching out to me. please go here to read more.